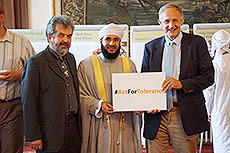 The exhibition “Tolerance, understanding, coexistence - Oman's Message of Islam” was hosted in Summer 2014 at Madingley Hall at Cambridge University. 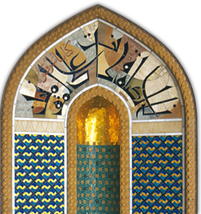 The presentation of the exhibition coincided with the annual Cambridge Inter-Faith Programme. The seven-day programme is organised in collaboration with the Ministry of Awqaf and Religious Affairs in the Sultanate. 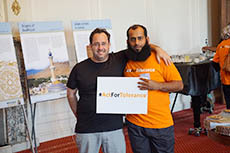 The idea of the Cambridge Interfaith Programme is to bring together future religious leaders from the Abrahamic religions for an intensive period of immersion in inter-faith and cross-cultural encounter, to resource practical peacemaking and conflict-transformation efforts. Professor David Ford delivered a speech during which he thanked the Ministry of Awqaf and Religious Affairs in the Sultanate for its efforts to promote tolerance and peaceful coexistence.